This way could useful to fix Samsung SM-T211 Tab 3 microphone or mic mouthpiece trouble. This problem occur if the device flash firmware is corrupted or due to hardware crash. you may need to proceed into hardware repair and check certain components that holds for Samsung SM-T211microphone to work. 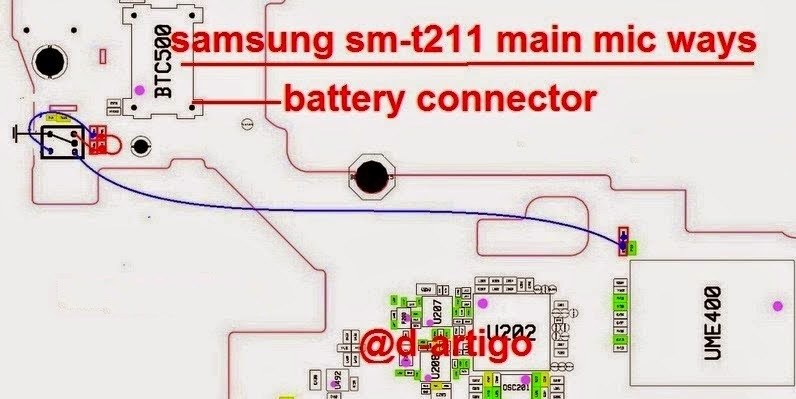 The solution below shows the location of the digital microphone module in Samsung SM-T211 PCB board. You may need to check or replace this components when found damaged or faulty.